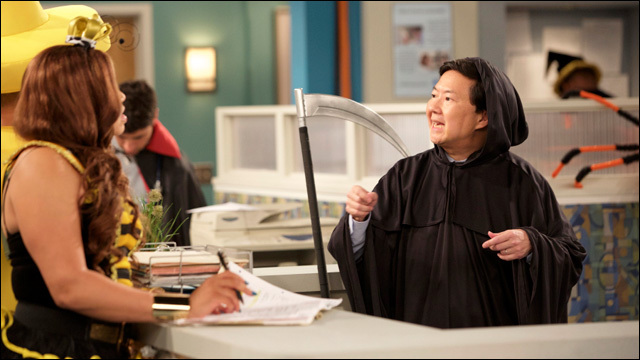 This week ABC's Dr. Ken, it's Halloween! That means lots of costumes, missing skeleton parts and a doped up hospital boss. Plus, Ken and Allison reminisce about the Halloween proposal gone wrong. The episode opens with a flashback to Ken's botched marriage proposal on Halloween. Now 20 years later, Ken tries to arrange the perfect re-proposal for Allison. Meanwhile at the office, which is decorated for Halloween, Damona and Julie accidentally drug Pat and then take advantage of their boss’ suddenly giving mood. Guest cast: Toby Huss as Captain Spooky, Wil Garret as elderly patient, Jeff Marlow as salesman. "Halloween-Aversary" was written by Anthony Rich and directed by Erik Sommers. Executive producers are Mike Sikowitz, John Davis and John Fox. Ken Jeong and Mike O’Connell are co-executive producers. "Dr. Ken" is produced by Sony Pictures Television and ABC Studios. 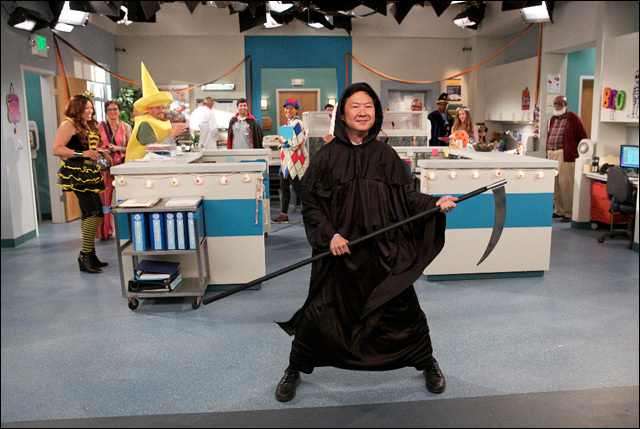 Ken Jeong as Dr. Ken Park as the Grim Reaper. 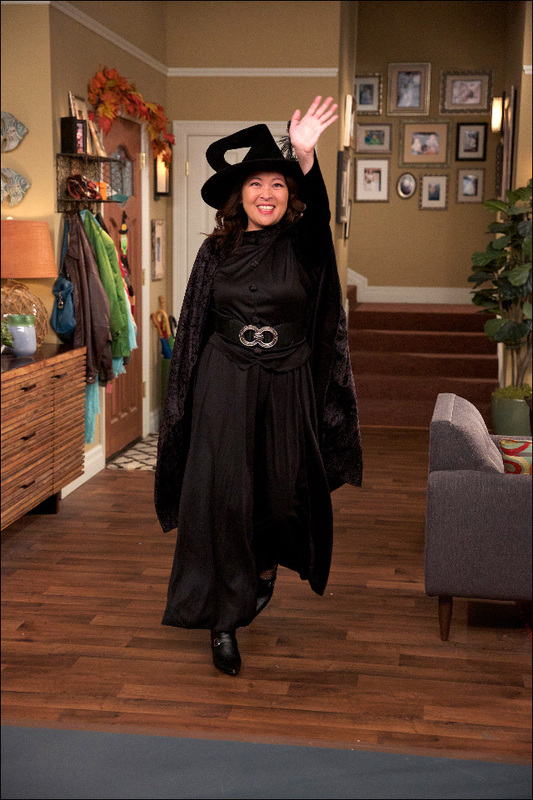 Suzy Nakamura as Allison Park as a witch. 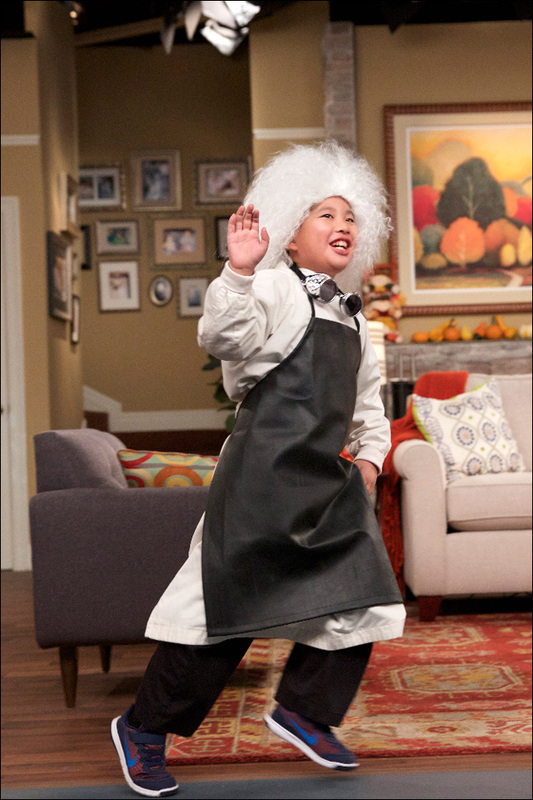 Albert Tsai as Dave Park as Dr. Frankenstein. Krista Marie Yu as Molly Park as a nurse. 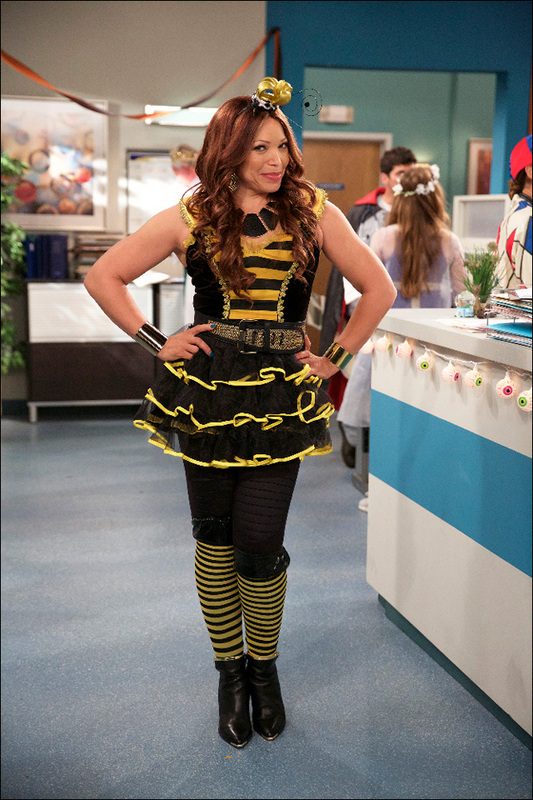 Tisha Campbell-Martin as Damona as Bee-yonce. Kate Simses as Julie as Khaleesi. 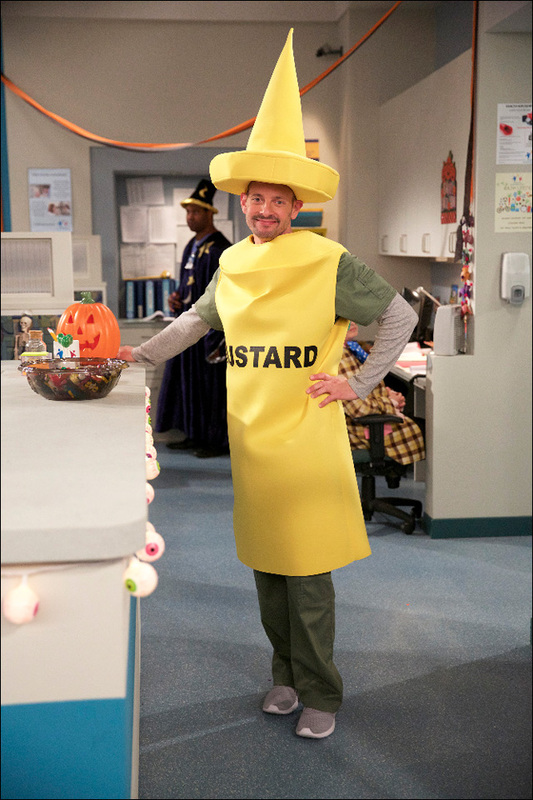 Jonathan Slavin as Clark as Mustard Man.